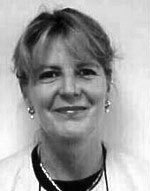 Since qualifying in 1981, Ms Landon has been a Consultant in Urogynaecology and Pelvic floor surgery since 1991. She qualified as a member of the Royal College of Obstetrics and Gynaecology in 1987 and a Fellow in 1997 and went on to achieve a postgraduate MD thesis studying the biomechanics of human female tissues and the causes of female incontinence and prolapse. Ms Landon devotes much of her time to seeking out learning, teaching and evaluating the best new treatments and surgical techniques. She has travelled widely, visiting centres of surgical excellence in the UK, Europe and the USA. She holds regular surgical masterclass days welcoming national delegates to promote surgical expertise. She is particularly interested in minimally invasive techniques and also specialises in recurrent and difficult problems requiring more complex revisional surgery. Ms Landon is currently the Royal College Director for Urogyaecology surgical training in Leeds. With her unique background, she brings extensive experience and applied skills to the challenge of improving the quality of life for all women with pelvic floor disorders. Ms Christine Landon does not hold a share or financial interest in this hospital, another Nuffield Health hospital or the company. Ms Christine Landon does not have a share or financial interest in equipment used at this hospital or another Nuffield Health hospital. Ms Christine Landon does not hold any paid advisory role(s) at this hospital or on behalf of Nuffield Health.